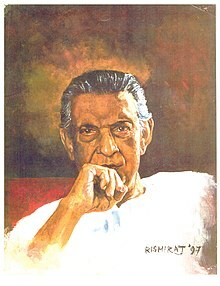 It was nearly a decade ago when my father, on one of our visits to Calcutta, bought me a few DVDs of Satyajit Ray's movies. The idea was obviously to introduce his son to a film maker he and most bright minds of his generations adored. On my part, I was curious to familiarize myself with the legend who had been widely criticized for being a purveyor of Indian poverty. 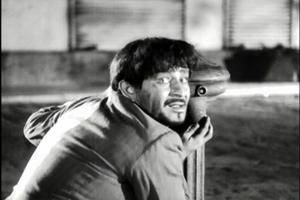 While in my teens, I had watched "Shatranj Ke Khiladi", the lone Hindi work of the Bengali director who would have turned 96 today were he alive. The Sanjeev Kumar, Saeed Mirza, Amjad Khan-starrer, which also may have made the best use till date of Amitabh Bachchan's rich baritone, had made me aware that there was much more to the tales told on-screen by this quintessential renaissance man than famines and starvation. most comfortable with, watching "Asani Sanket". It was yet another work on the Great Famine of Bengal and I had to heavily depend on subtitles (I still do) to make sense of the dialogues. Although not among my favourite Ray movies, I shall always remember "Asani Sanket" for having introduced me to Soumitra Chatterjee, an actor not well-known outside the world of Bengali cinema but talented enough to give the best in the world a run for their money. I followed it up with another Chatterjee-starrer "Abhijaan" where the Bengali actor played a Bihari taxi driver with elan. Ray, who found delight in casting well-known stars in unconventional roles, had chosen Waheeda Rehman for playing the female lead. Neither of the two movies did I find extra-ordinary. Neither made me aware of the greatness of Ray or for that matter Chatterjee. But these movies did serve the important purpose of making me curious enough to explore Ray more. 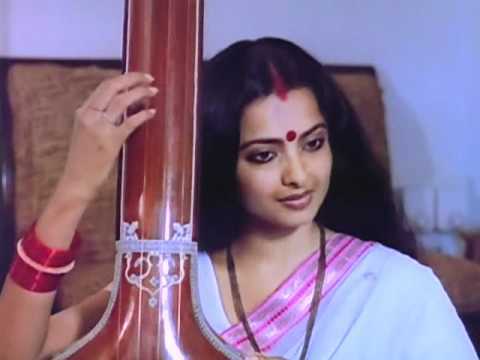 I also watched "Charulata" of which I remember very little except the immortal "O go bidesini" - a Tagore song rendered by the inimitable Kishore Kumar. In the mean time, being a voracious reader, I pored through "Our Films Their Films" and a brief reference to "Pratidwandi" goaded me to search the internet and I came to know about Ray's "Calcutta trilogy". I have always found myself strangely fascinated by the city with a decadent infrastructure but arguably the most intact moral fabric. So I ordered "Pratidwandi", along with "Seemabaddha" and "Jana Aranya" and thus began my captivation at the hands of the Shanti Niketan alumnus, who towered over his peers, both literally and figuratively. I happened to watch "Seemabaddha" first and to say that I was bowled over would be an understatement. Every thinking man or woman who works for a corporate entity, can not at some point in life help thinking about things like a pointless rat race, boardroom intrigues and unholy nexus between management and union. But I have not come across any other movie depicting the rot underneath the glitter of capitalism with the finnesse as Ray did in this work which deservedly won laurels at the National Film Awards and the Venice Film Festival. "Pratidwandi" left me stumped, thanks to Dhritiman Chatterjee whom I remembered as the crass fellow of 36 Chowringhee Lane who wore his sensuality on his sleeves. I could not believe that the same man was playing the highly strung and sensitive protagonist in Ray's first part of Calcutta trilogy. I could feel the suffocation of Siddhartha (his name in the film) when, in course of job-hunting he faces a callous interview panel and when he struggles to come to terms with his younger sibling evolving into a careerist, who had no qualms using her charms for her professional advancement. "Jana Aranya" turned out to be equally brilliant, though starker than the other two. The depravity on display is gut-wrenching. I found the first few minutes particularly impressive wherein Ray seems to have captured in embryonic stage the chaos and incompetence in higher education which has now assumed gigantic proportions. Having been smitten with Ray, I was bound to explore his body of work further and ended up savoring the astonishing range of themes on which he made his movies. I learnt that he was a master of cinematic adaptation when it came to literary works, be it Bibhutibhushan Bandyopadhyay (Apu Trilogy), Tagore (Ghare Baire), Sankar (Jana Aranya) or Henrik Ibsen (Ganashatru). From "Pather Panchali", which marked his sensational debut, to "Agantuk" which got released just a few months before his demise, Ray directed nearly three dozen movies. Each of these could be the subject of a full-length essay. Any attempt to encapsulate his remarkable journey in just about 1,000 words would be plain vainglory. But with nothing except words at my disposal, this is all I could offer by way of tribute.